Yorys training Chinese kickboxing here for 4 months. My name is Yorys Renard, I am from Switzerland. I arrived on the 14th of September 2018 and left the 12th of January 2019. My whole life has been about martial arts: karate, krav maga, judo, liu he quan, Taiji Chuan and xing yi Chuan. We can pretty much say that I wanted to come to Chine since I was a little boy. Historically this country has had a lot of martial arts and fighting sports and coming the roots of all that was a must do. Also, the idea of leaving everything behind for a period of time, to come here and think about fighting 24/7 was a good motivation. Through the time I spent here, studying Sanda (kick-boxing) and Shaolin Quan, I would say that I gained in agility, rapidity, a lot of reflexes and a mindset that would allow me to pursue my goals in the next future. Being at the school, you never feel lonely. There is always someone to help you and guide you. It is either you schoolmates, the translators or your Sifu. For me, it was my master, also known as Master Gao and the monitor of our group, Ramy Kandil (One of the excellent student of 2018). 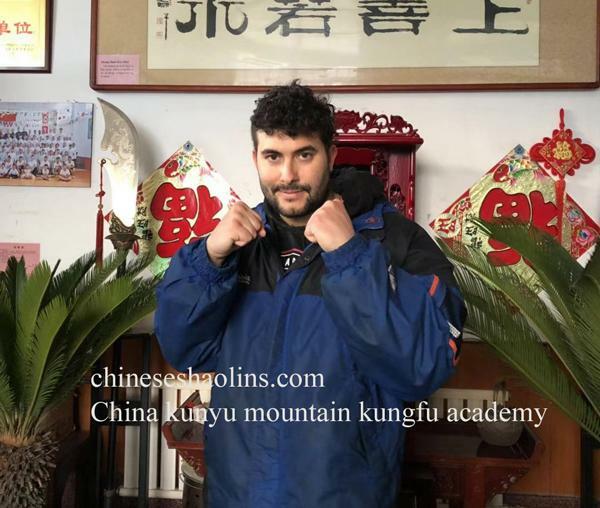 Gao Sifu is a young and powerful man, yet he is very knowledgeable very friendly and cares about you, if you push yourself and try your best in everything. 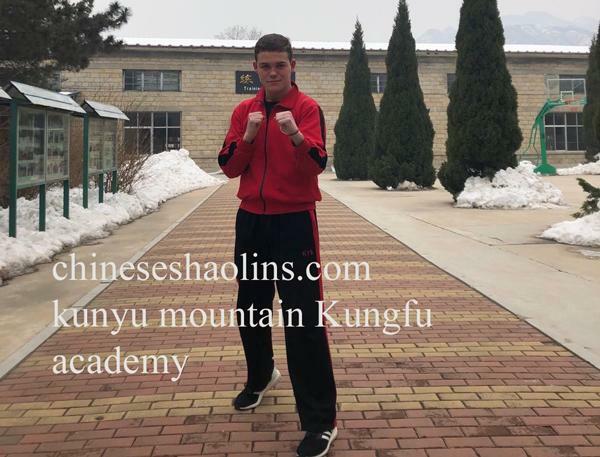 I always wanted to study martial arts in China. This was the time for me to get back into shape and when it made the most sense. I have 2 great gains. The first is the introduction to Sanda which is similar to kickboxing back home, now I can go back and confidently train kickboxing and continue a steady program. The second is understanding how far I can push myself. The training has helped me lose 14 kilograms in 2 months which is something I could have never imagined doing. Master Gao played a big role in helping and influencing me. Larry helped me learn chinese culture in a very easy way. All my classmates in Sanda helped push me further every class. The experience was wonderful. The training regiment allows you to push yourself to be the best person that YOU can be. The master will break you until you can't move but you feel accomplished after every class is complete. The students are all super welcoming and friendly, and the translators are always available to help in and out of class. The surroundings are beautiful. The mountains and the temple are stunning. The lakes are gorgeous and Yantai is very active and fun to be in. The air is okay but sometimes harder to breathe than usual. Overall, I had a wonderful experience here and I may return in the future.